During their Marine Science Day held today [Nov 20] Bermuda Institute of Ocean Sciences [BIOS] research technician Matt Bradfield explained research that BIOS is undertaking to generate alternative energy from marine algae from the Sargasso Sea. Calling it the “ultimate green fuel,” Mr Bradfield said that there are 1.3 million species of algae, 6,000 in the Sargasso Sea and BIOS is presently working with 12 different types of algae to determine which one best fits the criteria. 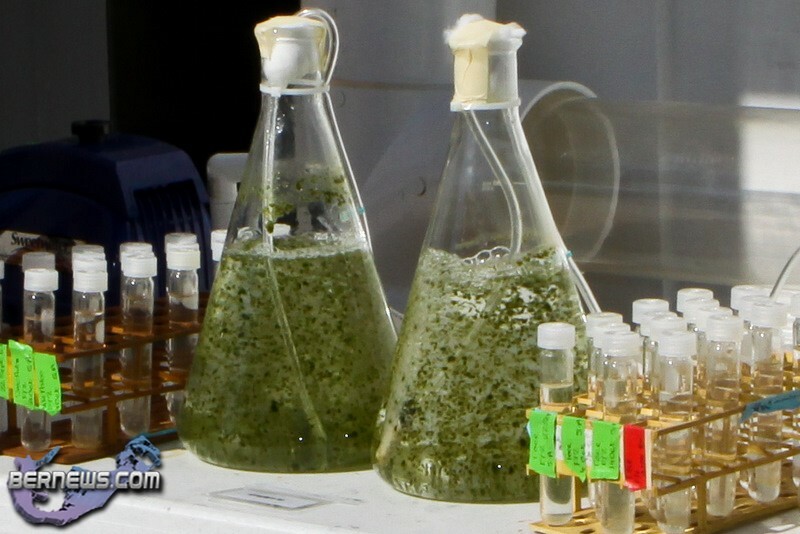 The algae is collected from the Sargasso during a trip on BIOS’s multimillion-dollar research ship the HSBC Atlantic Explorer, a process which can take 5-6 days. The scientists then use the algae collected from the sea to grow more at the BIOS facility, effectively farming their own. Mr Bradfield said that in approximately 18 months they hope to be able to build a model system which would generate enough power to run a teaching lab at BIOS. On a long term basis the biofuel would be able to power cars, generators, homes and more. BIOS is an independent non-profit science and education center which was founded in 1903 to take advantage of Bermuda’s ideal location for deep-ocean and coral reef research and education. In addition to the biofuel research, disciplines such as marine invertebrate zoology, coral reef ecology, chemical and physical oceanography, animal physiology and carbonate geology are also studied. Imagine Bermuda, actually generating Sargasso Biofuel – I’m Very Impressed.